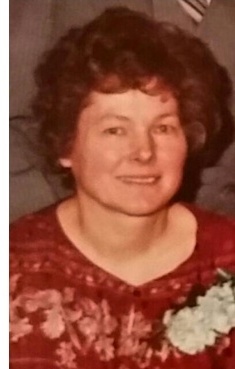 Stala Mary Brodowski (nee Halayko), passed away Saturday, November 3, 2018 in Chilliwack, B.C. at the age of 87. She will be sadly missed & joyfully remembered by her children, Ellen ( Dave), Diana (Robert) and David (Lee); grandchildren Philip (Krista), Nathan (Pam), Corbin (Kasia), and Dallen; great grandson Charlie, and brother Walter as well as numerous nephews, nieces, extended family & friends. She was predeceased by her brother Lawrence in 2013. Born in Fisher Branch, Manitoba, Mary spent her early adult years in Winnipeg. She upgraded her education & took courses with the Canadian Certified General Accountants Association. Her love of travel took her to many places. They included Hawaii, Scotland, Poland and many bus trips including travel to B.C. to visit with her children and attended Expo 1986. After retiring from Russell Food Equipment as an accountant, she wanted a warmer climate and moved to B.C. Mary spent many years in Chase, where she could be found in her garden or at the local Legion playing Cribbage. She then moved to Pemberton and finally resided in Chilliwack where she continued knitting and doing word puzzles. Known for her friendly nature and positive attitude, Mary enjoyed meeting new people and experiencing different cultures. Family & friends were very important to her and she kept in touch with those close & far away. She cherished time spent with them. She was intelligent & passionate about her opinions. Mary demonstrated her great personal strength throughout many health concerns in her last year. In lieu of flowers, memorial donations can be made to the Salvation Army. Cremation has taken place in B.C. Celebration of Life TBA at a later date.